I don't know what's going on with this one, and it sure has me confused. 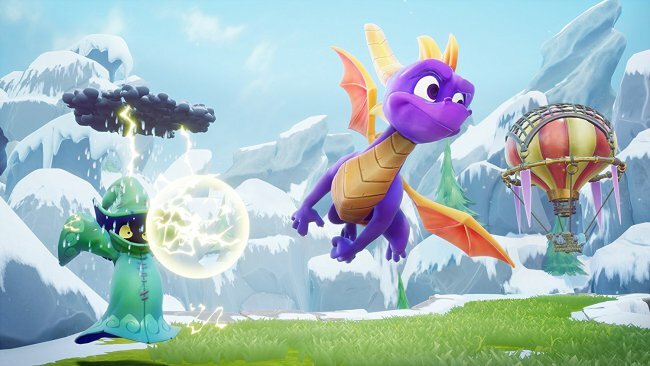 Earlier today, Activision confirmed Spyro Reignited Trilogy for release on Xbox One and PS4. Nowhere in the press release did it say that a Switch version was coming, yet Nintendo UK's online store has a listing for it. There's even an option to preorder! If this was added to Nintendo UK's online store by accident, this was certainly a rather big mistake! So definitely coming to Switch then. Probably be announced during a Direct if Nintendo has one before E3 (I could see them doing another Mini one in this month/May) or during E3 itself. Don&apos;t understand holding back announcements like this so they can do it if this is the case but whatever. If Crash made it, then there&apos;s no doubt Spyro will too. To which I say: Heck yeah! I&apos;m SO scooping this up. Feels weird to me to see Spyro on Nintendo. I still associate it with Playstation, just like Crash Bandicoot. Weirdly, I associate him more with Nintendo. I didn&apos;t get to play the original Spyro trilogy until college, but I played the heck out of "A Hero&apos;s Tail" on the GameCube in high school. The link doesn&apos;t work or at least it doesn&apos;t now. Yup, Spyro on Switch is definitely a must-buy for me as well. Hope it comes through!